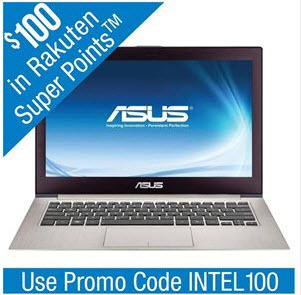 Good news, Rakuten.com now promotes the ASUS UX31A-R7202F 13.3″ Ultrabook w/ Intel Core i7-2517U 1.9GHz, 4GB RAM, 256GB SSD, Windows 7 for just $799.99 + free shipping, you also get $100 Credit. 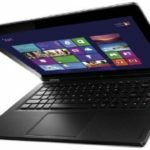 Our price research indicates this is the best price we could find for this ultrabook, we save at least $100 compared to the normal price, so I say it's a very solid deal. 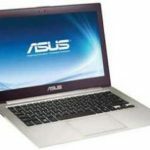 The ASUS UX31A-R7202F ultrabook highlights 3rd Gen Intel Core i7-3517U processor with 4MB L3 cache and 1.9GHz processor speed with Turbo Boost up to 3.0GHz, 4GB DDR3 memory, 256GB Serial ATA III solid state drive, a 13.3″ high-definition IPS display, and Intel UMA graphics. 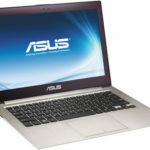 Other features include: Built-in 0.3MP webcam and microphone, Built-in high-speed wireless LAN (802.11n), and more. It delivers outstanding performance that you'll love. 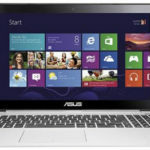 So if you are looking for a quality ultrabook at an affordable price, I now highly recommend the ASUS UX31A-R7202F. What do you think about it?